HLN features news and true crime programming. But here's some news: it's a crime to be paying so much for cable. And since you don't actually need cable to watch HLN, why are you bothering to pay? Here's the deal: ditch legacy pay TV services and learn how to watch HLN without cable or satellite. It's easier than you think, thanks to a new type of pay TV service that is changing the game. Below, we'll lay out all of the information you need to understand the changing nature of TV and choose the right service to deliver you a legal HLN live stream. Here's how to watch HLN without cable. HLN was a cable network from the start. So how is it that you can watch HLN without cable? It's not that HLN has suddenly left the world of pay TV services. It's just that the world of pay TV services is getting a whole lot better. We aren't stuck paying overpriced bills for cable and satellite anymore, because the legacy pay TV services are rapidly being overtaken by a new type of pay TV: the live TV streaming services. These services are innovative and affordable. They've stripped down cable's bulky bundles into lean packages of channels that people actually want to watch, an innovation that has earned the services the nickname “skinny bundles.” Since live TV streaming services come to us from over the internet, we can watch them anywhere we go on a wide variety of devices. And with no infrastructure to worry about, these services don't end up as regional monopolies, which is another reason that they're cheaper than cable. Using a live TV streaming service, you can watch HLN without cable online. But, of course, you'll need to make sure that the live TV streaming service you choose actually includes HLN. That's where we come in. Below, you'll find a list of the live TV streaming services we trust to give you the power to watch HLN without cable. Hulu with Live TV is a live TV streaming service that builds on Hulu's popular on-demand streaming service. Hulu's take on the skinny bundle features a long base package for $39.99 per month. That keeps things simple, and HLN fans will be happy with the selection, which includes an HLN live stream. You can read our review of Hulu here, but you don't have to take our word for it: like its mainstream competitors, Hulu offers a free trial. Theirs is seven days long, and you can sign up for it by clicking the link below. With Sling TV, you get to decide what is included in your skinny bundle. Subscribers start by choosing a base package: Sling Orange costs $25 per month, Sling Blue costs $25 per month, and both together will set you back $40 per month. From there, subscribers can tack on “extras,” which are little mini-bundles of channels grouped by type. For HLN, make a beeline for the News Extra package. It costs $5 per month and can be added to either of Sling's base packages. Did we mention that Sling TV offers a week-long free trial? fuboTV is a great way to watch HLN without cable. The skinny bundle service offers two base bundles and a decent selection of add-on bundles. Your base-bundle options are “fubo,” which costs $44.99 per month, and “fubo Extra,” which is larger and costs $49.99 per month. Either base package will net you an HLN live stream, and both come at a discounted price for your first month of service. 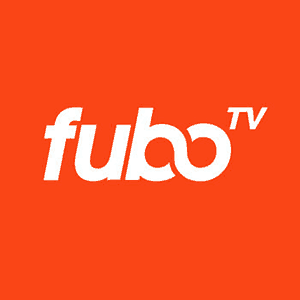 You can sign up for fuboTV's free trial offer by clicking on the link below. PlayStation Vue may sound like it has something do with video games, but that's not really the case. PlayStation Vue just happens to share a parent company – Sony – with the famous PlayStation line of video game consoles, and Sony decided to get some branding synergy going while launching their skinny bundle on PlayStation consoles. That's ancient history, and PlayStation Vue now offers a great way to watch HLN without cable on all sorts of platforms – not just the PlayStation 4. You can get an HLN live stream in the $44.99 per month “Access” bundle, or in any of the several larger (and pricier) bundles. 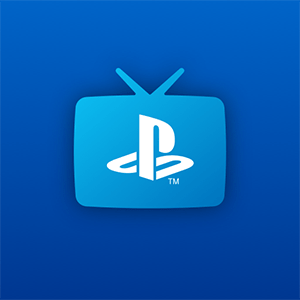 PlayStation Vue has a five-day-long free trial, which you can sign up for via the link below. 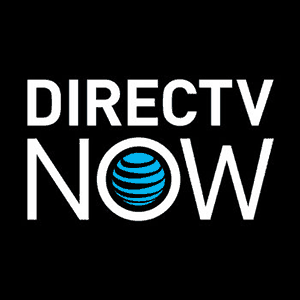 DirecTV Now is a strong live TV streaming service that comes to us from telecom giant AT&T. Its impressive selection includes an assortment of bundles, which begin with the $40 per month “Live a Little” bundle and increase in size (and price) from there. Any one of them will make a great way to watch HLN without cable, because an HLN live stream is included with every bundle. You can read our DirecTV Now review here, or you can choose to make up your own mind by clicking on the link below and signing up for the service's free trial. Can I Watch HLN on Roku, Fire TV, Apple TV, or Chromecast? Want to watch HLN without cable using a Roku, Fire TV, Apple TV, or Chromecast? Well, you've come to the right place, because all of the entries above work perfectly on those platforms. Hulu with Live TV, Sling TV, fuboTV, PlayStation Vue, and DirecTV Now each offer apps that work on or with Roku, Fire TV, Apple TV, and Chromecast. And on top of that, Hulu with Live TV, Sling TV, fuboTV, and PlayStation Vue each work on Android TV devices, too. Android TV is the Google-backed streaming platform used on the Nvidia Shield, among other devices. Want to watch HLN without cable on the go? Once again, you're covered. 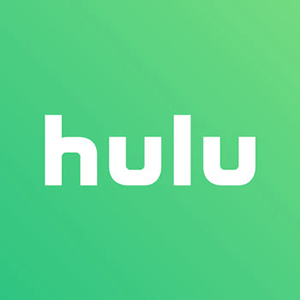 Hulu with Live TV, Sling TV, fuboTV, PlayStation Vue, and DirecTV Now each offer full mobile support for Android and iOS devices. iOS devices include iPhones and iPads, of course. Computers? You can count on Hulu with Live TV, Sling TV, fuboTV, PlayStation Vue, and DirecTV Now for those, too, because each of these services offers an in-browser app for most major browsers and operating systems. Video gamers, you have not been forsaken. If you want to watch HLN without cable on your Xbox One, you can do so with Hulu with Live TV or Sling TV. If you'd rather watch on a PlayStation 4, then PlayStation Vue is the way to go. Hey Steven, great write up as always. One question: Why not mention the á la carte CNN Go app that can be downloaded to Roku/Fire Stick/others? I have been watching my content on HLN (I hate CNN) this way for years… They were one of the first to have an app. Yes, it requires a subscription, but PlayStation Vue, DirecTV Now, and others will allow for this. Kelly, Hulu with Live TV is Hulu’s live TV streaming service. It offers HLN and other channels.